When you toss out old lettuce or moldy berries you should think about this. We waste more than a third of the food we produce. That is all around the world. This is according to the Food and Agriculture Organization. A group of Swedish graduate students wants to change that fact. They go to Lund University. They are in a program called Food Innovation and Product Design. They have come up with a way to use old fruits and vegetables. They use food that is about to go to waste. It may help people who do not have a lot of access to food. They are calling it FoPo Food Powder. It is made from fruits and vegetables. They are dried and powdered. It is shelf-stable. The powder can be dropped into relief efforts. It could be used after natural disasters. Or it can be passed out in low-resource areas. That is where fresh food and refrigeration are hard to come by. "We found out that one third of the food produced was going to waste while people in the world were starving. So, we could not back out," says Kent Ngo. He is one of the students who made it. Ngo says they are not making something new. Powdered food has been around since the early days of astronauts. But they are rethinking the waste and delivery methods. One group of students make up a development team. They reached out to farmers and sellers to get fruit. Another group of students are food scientists. They tested different ways of drying and powdering the food. They settled on spray-drying it. The process then includes grinding it up. The students looked at ways to distribute it next. That involved both commercial and government supported sites. One member of the group is Gerald Perry Marin. He grew up in the Philippines. It is the country's capital. He had seen how typhoons and other natural disasters cut people off. They often cannot reach their food supply. He also saw how important it was to have food options. They needed to be easy to get to in a relief setting. "Today a relief bag for humanitarian disasters contains various foods. Such as strawberry jam, peanut butter and peas in tomato sauce. We think that an easily transported pack of cheap dried food powder with high nutritional value would fit in perfectly," Ngo says. The team has been trying to keep its prices down. That would help humanitarian groups and non-governmental groups. Freeze-dried food keeps most of the nutritional benefits of raw food. It loses some vitamin and mineral mass in the drying process. But it is still a good way to get fiber and nutrients. The makers of FoPo are currently running a pilot program. It is being tried in Manila. They are drying calamansi for their first try. It is a citrus fruit. Ngo says it tastes like a mix of lime and tangerine. There is a lot of it. You cannot get it in other places. And it is easy for their Philippine manufacturing program to dry and powder. The group has reportedly gotten support from senators in the Philippines. And they are about to start working with the U.N.'s Initiative on Food Loss and Waste. They want to try to reach more people and countries that could benefit. They want to widen their reach. So, they are also working with commercial suppliers. And also with manufacturers that want to use FoPo in their food products. Those include cake mixes and ice cream. Customers can also sprinkle it into food or drinks. Or they can use it in baking. The company has almost 40 international supermarkets on board. "I was a bit surprised that the calamansi powder tasted so good," Ngo says. "I cannot wait for the mango and pineapple powder." 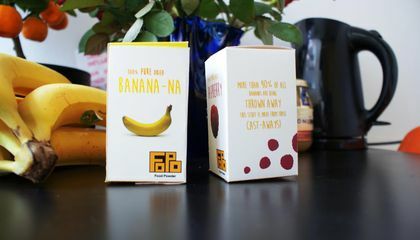 FoPo is powdered because it is made from fruits and vegetables.They are dried and powdered.It is shelf-stable. FoPo makes the food powder because a lot of people are wasting there food and they do not want it to go to waste. Because people in other countries are starving they can probably send it over seas. To the kids in need. To help not wast food. FoPo is powdered because it includes fruits and vegetables. 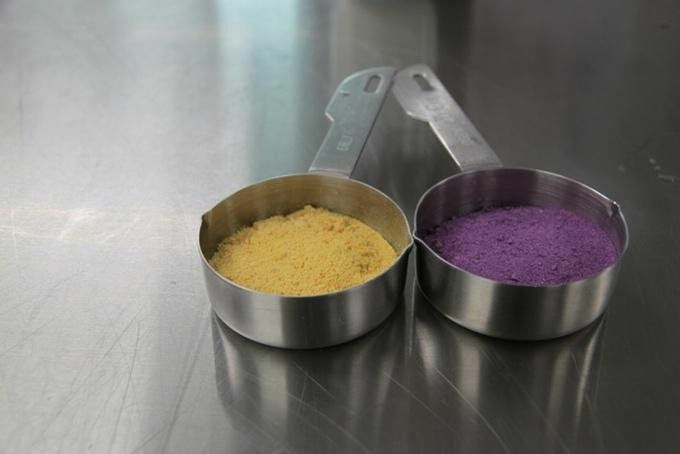 According to the article, ''Students turn food into non perishable powder,'' Fopo is powdered. One reason Fopo is powdered is because it can be on a shelf and not in the refrigerator. Another reason Fopo is powdered is so that they can drop it into areas that natural disasters have occurred. After reading this article, I now realize that Fopo is powdered and how to make it and how to store it. According to the article,''students turned food into non-perishable powder,'' FoPo is powdered. One reason FoPo is powdered is because it can stay on a shelf for a long time without being refrigerated. Another reason FoPo is powdered is so it can be dropped where natural disasters take place. Now after I finished the article I learned more about FoPo and why it is powdered. According to the article ''students turn food into powder,'' FoPo is powdered. One reason FoPo is powdered is because it can stay on the shelf and not have to be refrigerated for a long period of time. Another reason FoPo is powdered is so they can drop it in areas that just had natural disasters. After reading this article I learned why FoPo is powdered.